Andrew Jones PhD is Professor of Applied Physiology in the Department of Sport and Health Sciences and Associate Dean for Research & Impact in the College of Life and Environmental Sciences. Prof Jones is internationally recognized for his research in the following areas: 1) control of, and limitations to, skeletal muscle oxidative metabolism; 2) causes of exercise intolerance in health and disease; 3) respiratory physiology, particularly the kinetics of pulmonary gas exchange and ventilation during and following exercise; and 4) sports performance physiology, particularly in relation to endurance athletics. Recent work, in collaboration with colleagues in the University of Exeter Medical School, has focused on the role of dietary nitrate in enhancing nitric oxide production and in modulating blood pressure, blood flow, and muscle efficiency and performance. Prof Jones has authored more than 280 original research and review articles and is co-Editor of three books. He is a Fellow of the American College of Sports Medicine, the British Association of Sport and Exercise Sciences, the European College of Sport Science and the Physiological Society. Jones is Editor-in-Chief of the European Journal of Sport Science and serves on the Editorial Board of six other international journals in sports medicine and exercise science. Prof Jones has acted as a consultant to a number of governing bodies of sport or commercial companies including UK Athletics, the English Institute of Sport, Gatorade Sports Science Institute and Nike Inc. The main research interests of the laboratory include training, fatigue, efficiency, the physiological determinants of performance and the limitations to muscle oxidative metabolism. Current projects focus on the effects of dietary nitrate supplementation on cardiovascular health, muscle energetics and exercise tolerance. Following the completion of his PhD in exercise physiology in 1994, Jones completed a postdoctoral research fellowship in respiratory physiology at the Harbor-UCLA Medical Center in Los Angeles. He then worked as a Sports Science Officer at the Welsh Institute of Sport in Cardiff before resuming his academic career at Manchester Metropolitan University where he was appointed as Senior Lecturer in 2007 and then promoted to Reader (2001) and Professor (2004). 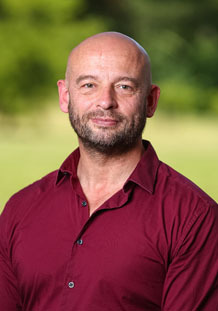 Prof Jones joined the School of Sport and Health Sciences at the University of Exeter in 2005 and served as its Director of Research and Head of Department before taking up the position of Associate Dean in the College of Life and Environmental Sciences (2015-2018. Prof Jones served on the REF panel in 2014 and will do so again in 2021.